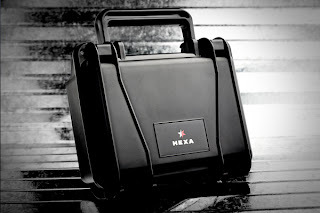 By TLex Introducing the HEXA Q500, a quartz-powered, grab-and-go version of the popular K500 that features all the same unique design elements and rugged spec. as the original watch. 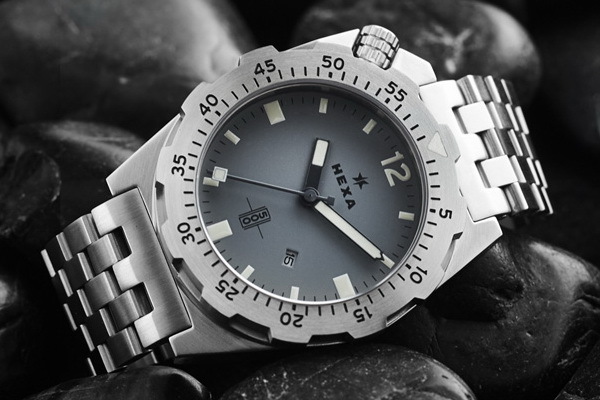 The Q500 features a unique gray-on-gray colorway with a matching custom Italian rubber divers strap, and is available in either a bead-blasted or brushed Stainless steel finish. Features of the Q50 include: a 316L surgical grade steel case with an integrated crown guard, a Japanese made Miyota precision quartz movement, a high-grip crown and bezel and an ultra-legible dial with industry-leading luminescence by Lüm-Tec. Each Q500 is assembled by hand in USA and pressure tested to ensure reliability. Like it's automatic sibling, the Q500 comes packaged in a custom waterproof seahorse case. The Q500 is available for immediate shipment. 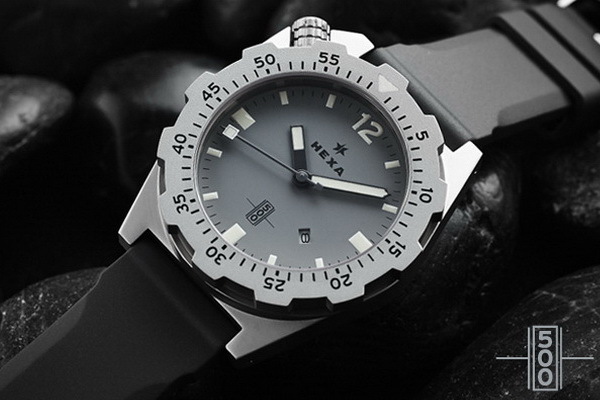 Hexa are offering 50USD off MSRP until July 31st. Follow the link HERE or the one embedded below for more on the Q500 . . .
definitely looks like it could take a few punches. With a price point starting at USD 350 and 2 year warranty what's not to love? Also like that idea of using the reliable Miyota quartz as some other very competitive makes on the market. This watch just put its self in a very good position for the diver market.